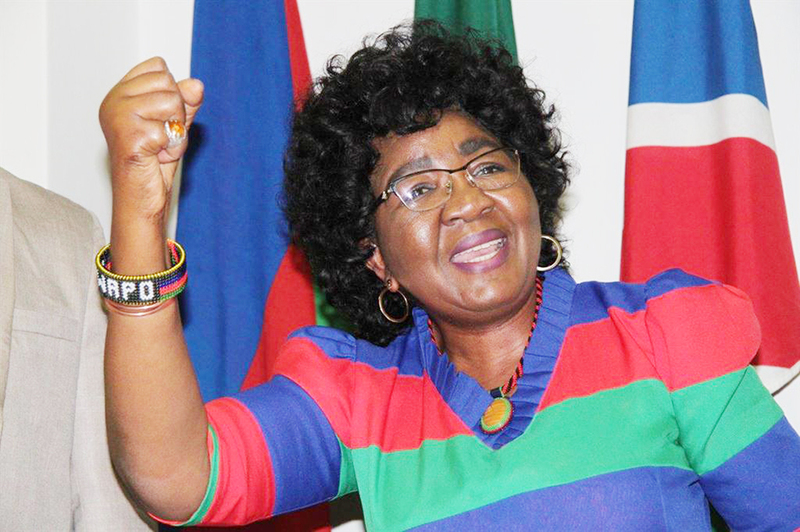 SWAPO is roping in political hardware to address the ongoing mutiny of town and village councils defying directives from the office of the combative Swapo Secretary-General, Sophia Shaningwa. The decision to involve the politburo after they initially seemed to support Shaningwa’s decisions and directives that previously led to discontent in Oshakati and Windhoek, point to more serious issues of division in town and village councils. The fate of recalled councillors who recently defied directives from the Swapo party on who should be elected as mayors or members of the management committees now lie in the hands of the highest decision making body in the party, the Politburo. Shaningwa recalled Swapo councillors at Rundu and Okahandja after they rebelled against her directives to nominate preferred candidates into mayoral positions. In an extraordinary step, a Swapo member of the council in Okahandja wavered a directive of Shaningwa as the reason why she could not accept a nomination of an opposition member of the council. The Rundu councillors last week removed Verna Sinimbo as mayor and elected Isak Kandingu instead. They further kept Toini Hausiku as deputy mayor, a decision that did not sit well with Shaningwa. 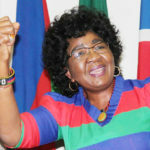 The recall of Toini, the wife of the Swapo deputy Secretary-General and Head of the Swapo School, Marco Hausiku, especially raised eyebrows and was regarded by many in the party as a snub to her husband.Marco is a Swapo veteran and one-time Deputy Prime Minister who re-entered active politics through the Geingob-slate strategy as part of Team Harambee with Shaningwa. At Okahandja, councilors nominated Johannes Hindjou as Mayor, when Shaningwa’s instructions were that they nominate Sophia Upithe instead. The councillors defied Shaningwa’s directive, despite a politburo meeting that endorsed her decisions. In the midst of all this, Khorixas councillors also ignored Shaningwa by removing Elizabeth Geises as Mayor, when her directive was to retain Geises in power. Geises only served one year. The councillors want Gerson Goagoseb, the previous mayor, to return to the mayoral chair. “The councillors’ decisions came as a shock because if a decision is made by a higher body then it should be followed. They have to adhere. Now that they do not want to, I do not know. The swearing in did not take place yet and Council has a meeting next week Tuesday. There, a decision will be made on whether or not to follow the SG’s directive,” Geises said. A meeting between Swapo leaders earlier this week concluded that Shaningwa should put on hold the decision to recall the three Rundu councillors until politburo announces itself on the matter next week. It is understood that during the meeting, President Hage Geingob, in his usual consultative style, informed his cabinet that the issue would be decided by the politburo. Geingob was clear that Swapo cannot preach democracy and at the same time not respect the will of the people who voted. With a clear message for transparency, Geingob said that while there must be consequences for those who defied directives, those who failed to put proper implementation processes in place should also not go unpunished. “He also said the Swapo headquarter must take responsibility for the fiasco over the past few days surrounding the councils. He said the decision to change or not to change councillors should have been made months ago and should have been communicated earlier to allow the councillors time to properly prepare and execute,” said a well-placed source. Contacted for comment, Shaningwa declined to comment and said that the public will be informed about the decision by the party’s Secretary of Information next week.